At least 35 people, including students, parents and coaching centre owners, have been questioned in connection with the probe into the leak. 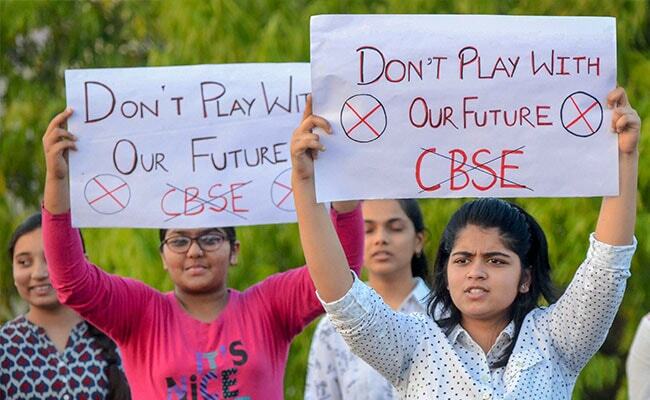 The paper leak has triggered massive outrage from parents and students against the CBSE. New Delhi: The Class 12 economics paper will be held nationwide on 25 April, the government said on Friday but the Central Board of Secondary Education, or CBSE, appears to be having second thoughts on a re-exam for the Class 10 Maths paper. The re-test will be held for Class 10 students in Delhi and Haryana only if it is required, Union Education Secretary Anil Swarup said. The government said the re-test was being held for the Class 12 paper without waiting for a detailed inquiry to ensure that the results were declared in time for students to meet deadlines for university admission. 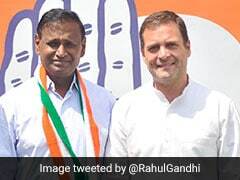 At least 35 people, including students, parents and coaching centre owners, have been questioned in connection with the probe into the leak. E-mail address details have been received from Google and that the person who sent the mail has been identified and inquiry is on. 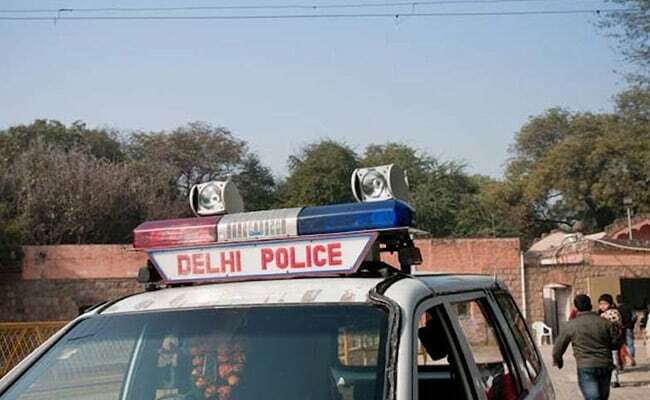 A total of 53 students and 7 teachers have been questioned so far, according to Delhi Police. 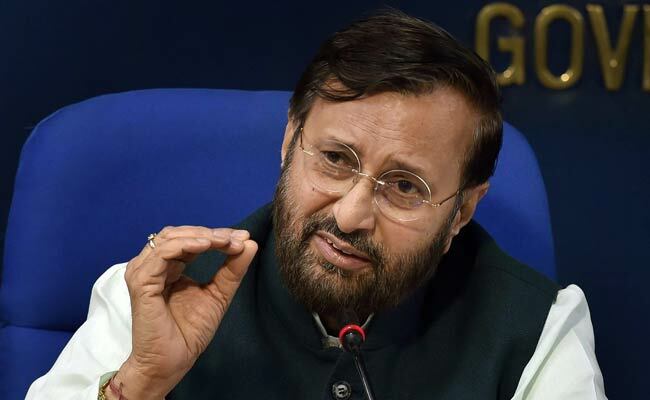 The re-exam of CBSE's class 10 Maths paper will only be held in Delhi and Haryana if the police investigation points to a "large-scale leak", said Education Minister Prakash Javadekar, stressing that more than 14 lakh students of Class 10 will not have to give a re-test. However, the Class 12 Economics paper that leaked this week will be held across the country on April 25, the government has said. Scuffle between SSC -- Staff Selection Commission students and security personal at Connaught Place. 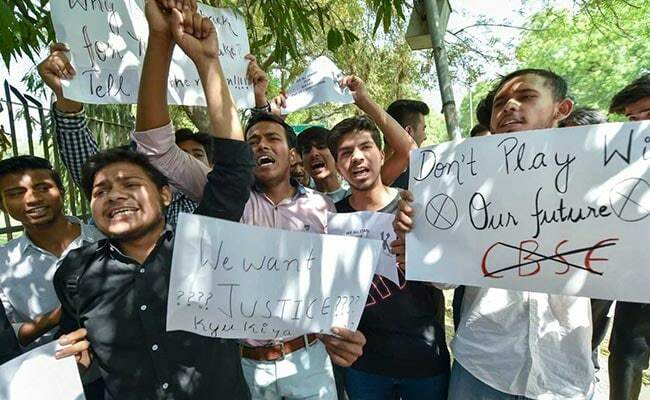 SSC students, like the CBSE students, have been protesting against alleged exam paper leaks. 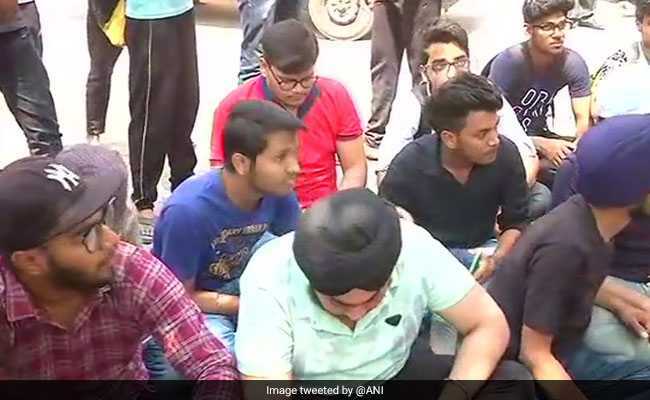 Papers for SSC exam, held annually by a government organisation for recruitment in posts like tax inspectors, clerical staff and accountants for which lakhs of candidates appeared, were leaked last month. CBSE's statement on a fake Class XII - Hindi question paper being circulated. 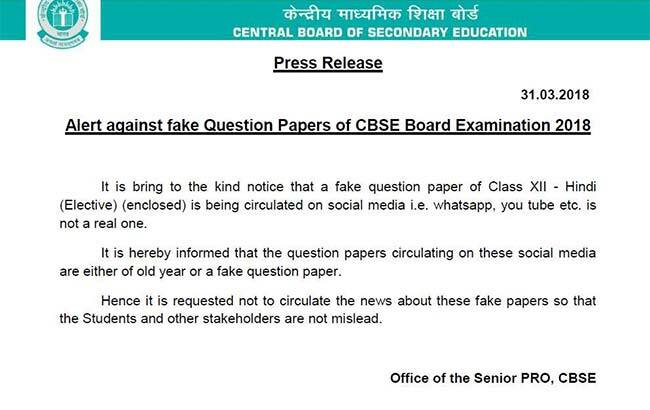 CBSE today issued a statement informing that a fake question paper of Class XII - Hindi is being circulated on social media and is not a real one. The statement further said that the paper is either old or fake. 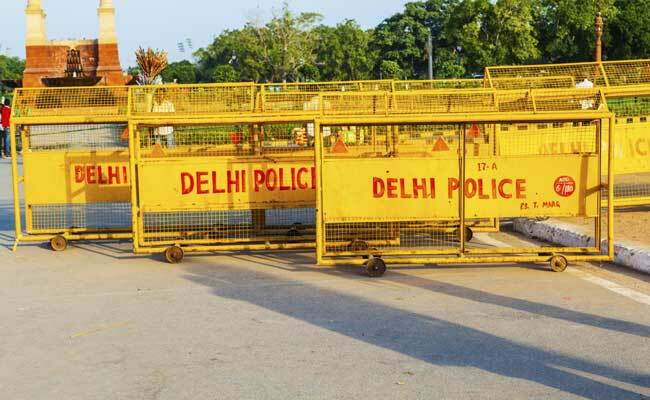 Delhi Police issued traffic advisory as protests intensify in Delhi's Connaught Place over CBSE paper leak. "Traffic movement on Sansad Marg from Jantar Mantar to Patel Chowk is closed due to demonstration.Kindly avoid Outer Circle Connaught Place & this stretch"
Scuttled holiday plans, clashes with entrance dates, another round of tuitions and above all the 'phobia' of facing the examination day yet again -- sum up the dilemma faced by class 10 and 12 students of CBSE across the country. Only students based in Delhi and Haryana will have to appear for re-exam of Class 10 paper if the police investigation points to a "large-scale leak", Union Human Resource Development (HRD) Minister Prakash Javadekar said on Friday, stressing that out of the 16 lakh students, more than 14 lakh will not have to appear for the Mathematics re-exam." The police have sought search engine Google's help for details of the email address from where the CBSE chairperson was sent a mail on the Class 10 Mathematics paper being leaked. Why re-exam in only one paper? Why not all? What guarantee that other papers were not leaked? Is re-exam the only solution? Why should 28-30 lacs students suffer & go through stress for no fault of theirs - but because of mishandling of whole situation by CBSE & education mafia. 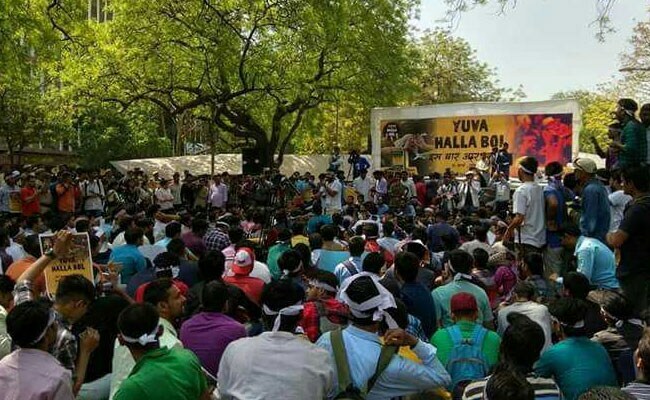 Students protest outside CBSE office in Delhi's Preet Vihar, nearby road jammed. The re-test will be held for Class 10 students in Delhi and Haryana only if it is required, Union Education Secretary Anil Swarup said. The Class 12 economics paper that leaked this week will be held nationwide on 25 April, the government said on Friday but the Central Board of Secondary Education, or CBSE, appears to be having second thoughts on a re-exam for the Class 10 Maths paper.